One thing I've learned designing Mason's nursery is that there is a lot of ugly kid stuff out there...all designed with good intentions to stimulate little senses with bright colors and contrasting patterns. I want this table for myself. 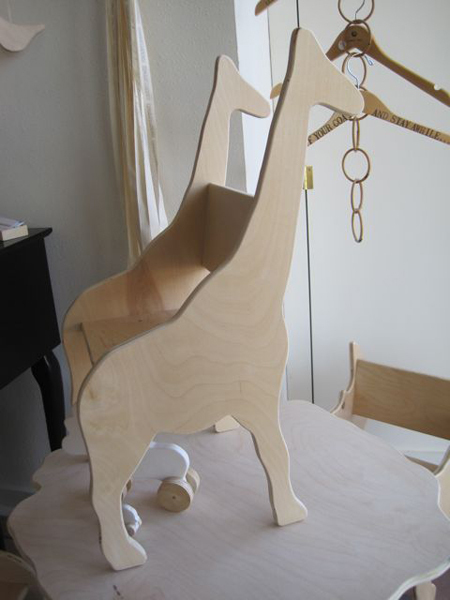 Isn't it so gorgeous for a little one? And I love that it can be a blank canvas for your own paint and imagination if you want it to be. I mean, that elephant chair is just too much. If I was snapping this up for a nursery, I would paint it in various pastel shades to keep the set looking sweet, but you could also punch it up with bright paint for a playroom. It's not inexpensive at around $600 for the table and two chairs, but good design is worth the price. It would be a splurge-worthy focal point, though I know rugrats will eventually draw all over it and spill juice and gogurt on it and whatnot. You can also buy just the chairs or just the table individually. 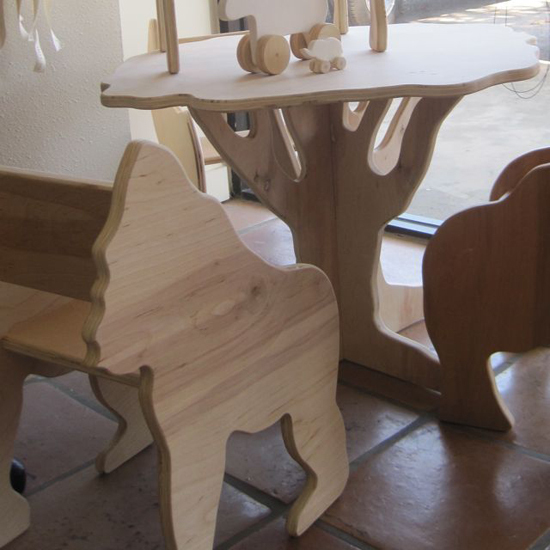 And you can choose from a giraffe, rhino, gorilla or elephant for the chairs. Any of them would be such a sweet addition to a little person's room. Love it! I must have non-plastic kid's stuff. 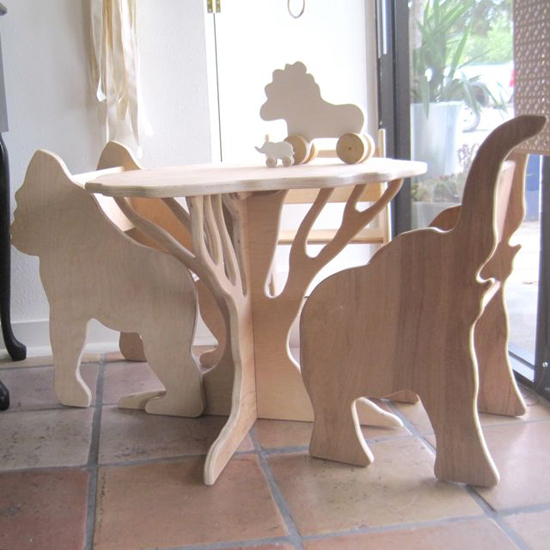 When My teens were little I had the cutest table and chairs made for them. I gave it away when I figured I was done having kids and then proceeded to have another baby at 40. lol. Where can I find this table and chairs set?